You’re off and running with your new client and the team agrees it’s a perfect fit for a social media campaign using bloggers as part of your strategy. Before the first email pitch goes out the door here a few reminders for ensuring you’re taking the right steps to build a mutually beneficial relationship with these digital influencers. What’s the fastest to insult a blogger these days and jeopardize your potential relationship? Call them a “mommy blogger.” While a large percentage of individuals that are running successful social media campaigns are in fact parents, they should never be pigeon holed as a so-called “mommy” blogger. A recent survey conducted by Type-A Parents entitled “Parents Mean Business” found that the moniker is despised, with two out of three respondents saying they either hate it or never use this as their job title. Using this phrase in your outreach is not the ideal way to start the working together. TypeA Parent also put together this great list of additional phrases to avoid at all costs. Just as a seasoned media relations professional would never pitch a journalist without doing their homework, the same should apply when pitching bloggers for a possible campaign. Taking the time to read recent posts, get a sense of their audience size and scope, check out previous campaigns to see how they were received and sending truly personalized pitches can make a huge difference especially to those bloggers that are receiving dozens, if not more, pitches every day from brands hoping to make a connection. The power of the blogger network is a powerful thing—pulling together hundreds to thousands of like-minded individuals with vetted credentials and solid followings. One in three bloggers currently earn 25% or more of their current income by participating in a blogger network. The social media landscape continues to build powerful groups of influencers, often with a niche focus (fashion, parenting, beauty, fitness) that can be mobilized on behalf of your brand. However working with large established network is a tactic that doesn’t always scale well for small to mid-size companies. Another smaller yet effective approach is to identify bloggers that often operate with their own smaller “micro-network” of individuals that can come together to take your campaign even further. 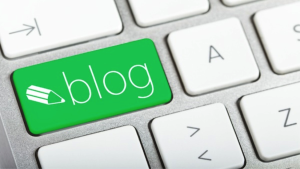 It may be only 3-5 bloggers but they’re already vetted and work well together. This can be especially beneficial when planning specific tactics like Twitter chats, etc. where you’ll want different bloggers to own unique rolls including hosting, participating and inviting their followers to participate. Ask any social media marketing or PR pro down in the trenches and they’ll tell you it takes a considerable amount of work to keep even a handful of bloggers on track and on schedule, let alone dozens of social media ambassadors, etc. Tracking scheduled posts, promotions, ensuring your bloggers have access to updated graphics, appropriate tracking links, etc. can quickly become overwhelming without a strong organizational system. Keeping things moving with minimal back and forth is beneficial to both parties so find a system that works for everyone. Your blogger will look to you (the brand/agency) to drive the relationship and keep things going forward. New tools are coming into the marketplace designed to help better engage, streamline management and track/measure your social ambassador campaign. Just as you are relying on these individuals to help share the messages of your client or brand, your blog ambassadors are looking for exposure for their work. However don’t confuse exposure with compensation (a whole other topic). Be sure to retweet, favorite or share their posts across your networks just as they’re doing for you. Thanking your blogger for their efforts, providing a reference or even making a referral will also help ensure a strong relationship in the future.